Field headers are the dark green headers located in either the Summary or SOAP Notes documents (e.g. : Active Problems, Allergies, Objective, Assessment, etc.). 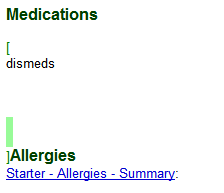 Custom field headers can be created to be inserted into either the Summary and/or SOAP Note sections. The default field headers are very important to continue to use for their functions as they contain hard coded functions in the background. 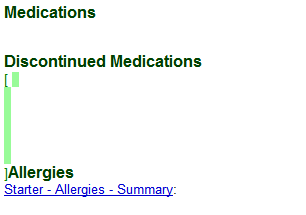 For example, The SOAP Note Medications field is required to be used for ePrescribing, etc. 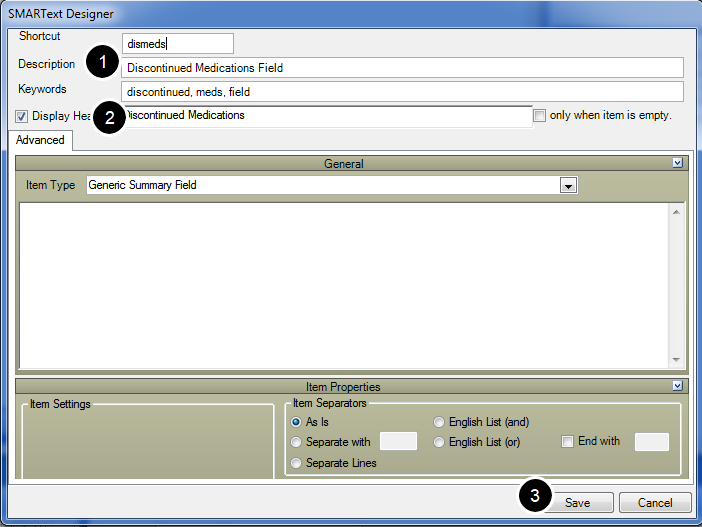 Custom field headers can be created for other categories, but all default headers must be used for Dx's, Plan, Medications, etc. Click Tools in the menu bar, and Click the Options menu item. You will now need to log out of SOAPware and log back in for these changes to be implemented. When the SMARText Items dialog opens, click the Create button. This will bring up the SMARText Type Selection window. 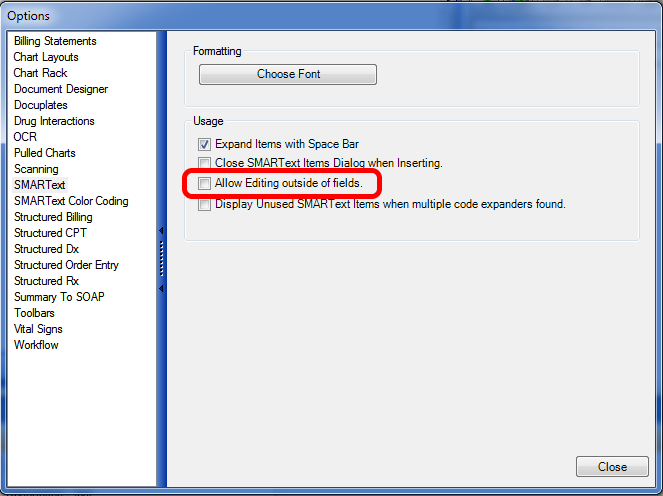 Click the Item Type drop-down menu near the bottom of the SMARText Type Selection dialog. Click the Entry Fields plus-box. Double-click the appropriate type of field name (i.e. 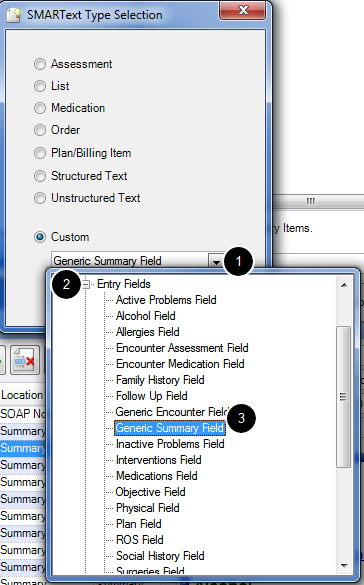 Generic Summary Field or Generic Encounter Field). 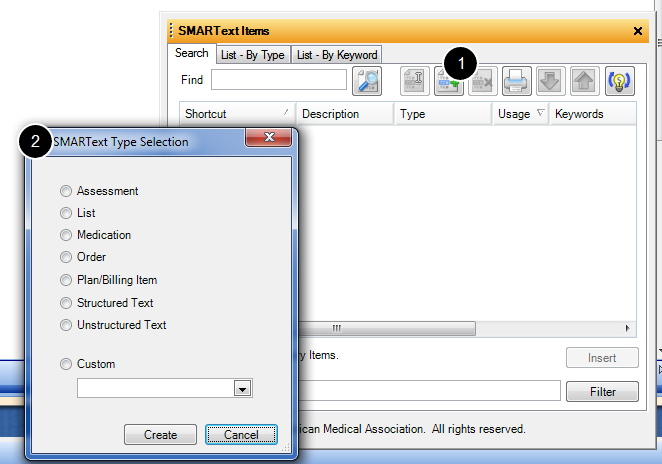 At the top of the SMARText Designer window, type a Shortcut, Description and Keywords. 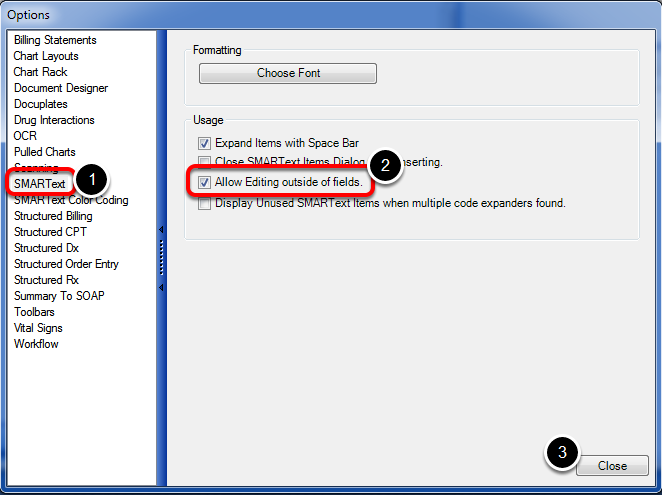 Type the name of the field header in the Display Header box. Click the Display Header check box. Click Save. Open the template to change. The user should click at the location where he/she wants to insert the new field name/header. A set of small green brackets will appear to indicate that the user is working outside of the fields within the docuplate. Hit enter three or four times to create some space for the new field. Type the shortcut for the new field. Next, press the space bar for the new field/header to be inserted. Click Tools in the menu bar, then click the Options menu item. Click the SMARText menu item, then cick the Allow Editing outside of fields check box to toggle it back to unchecked. Click Close and Log out/Log in.